Venture Capital Bank BSC (c) has announced dividends to its shareholders totaling 9.06pc for 2015, comprising effectively 2.52pc in cash and 6.54pc in bonus shares on their existing holdings (inclusive of 0.93pc from a reallocation of Employee Share Ownership Plan bonus shares together with cash dividends thereon) following regulatory approval of the resolutions of the AGM held in Bahrain on December 8, 2015. “Our performance confirms that VCBank is continuing its positive momentum towards achieving sustainable profitability and strong business growth. The bank has an investor base that has been and remains immensely supportive, and these results wouldn’t have been possible without their trust and continued support,” he explained. 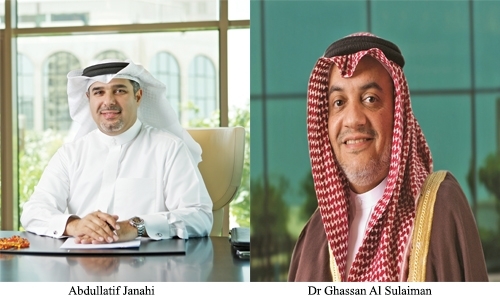 “We are confident that we will be able to continue to build on this excellent performance into the future by continuing to adapt and capitalise on changes and opportunities in the market with the guidance and support of the Board of Directors and the Central Bank of Bahrain,” Janahi added.